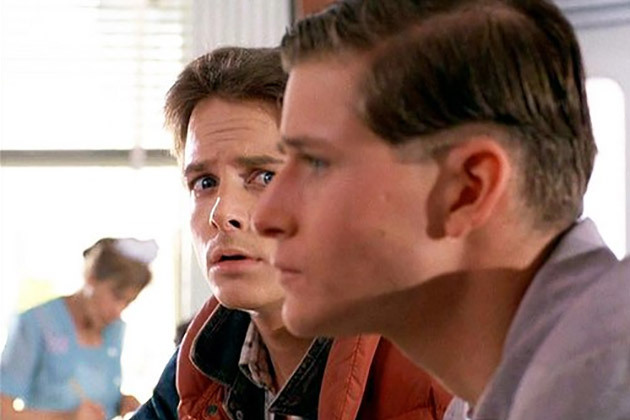 On the cinematic date of October 21, 2015, Back to the Future II has Marty McFly (Michael J. Fox) arrive in his hometown of Hill Valley thirty years from where the original film left off in order to help his kids. With all the attention on the sequel, I have to revert back to the original Back to the Future and my favorite character of the series, George McFly: an independent mind among small-town simpletons who just needed the right mate and right situation to let his true self emerge. That self was anything but the pristine figure within a child’s halcyon fantasies of his parents’ younger days, as Marty soon finds out. As a child in the 1980s suburbs of south Texas, no one was cooler than Marty McFly with his skateboard, but no one in Hill Valley was more adorable than George. George was the dynamic character of the two, painfully reinventing himself and his life with the help of the new kid in town who won’t leave him alone. Played perfectly by Crispin Glover, George begins the film in 1985 as a middle-aged pencil-pusher with too much hair oil and a resigned attitude towards his life. Marty is embarrassed at the way his dad is emasculated by his lifetime bully, Biff Tannen (Thomas F. Wilson), and fears that he will follow his father’s inept footsteps towards a life of broken dreams and regrets. Only after he goes back in time does he realize the potential his father truly has and the self-doubt and social awkwardness that are inhibiting George from harnessing it. 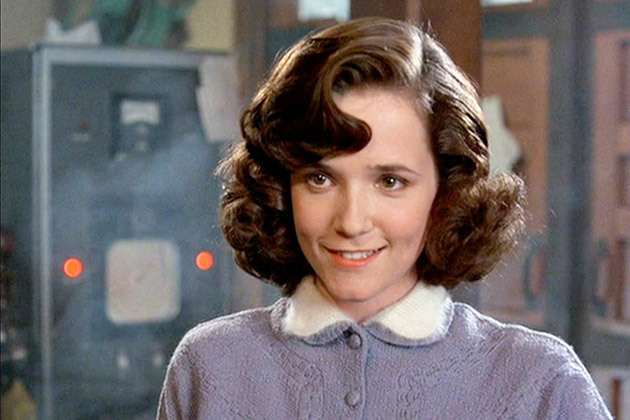 There’s a lot more to George McFly than Biff’s punching bag. To begin with, he is a bonafide science fiction nerd, never missing his favorite TV show “Science Fiction Theater” and writing space stories in the school cafeteria. He’d never put his “meat hooks” on a girl like Biff would; rather, he is quietly terrified of direct interaction with females, especially Lorraine Baines (Lea Thompson). Lorraine is a determined coquette: unapologetically oversexed yet bold enough to slap men in the face as she demands gentlemanly over brutish behavior. Though George worships Lorraine from afar, he is too intimidated by Biff’s advances to do anything proactive and instead, bides his time by spying on her. As the film goes along, it is clear that George and Lorraine are a perfect match in their hormonal proclivities and romantic natures. As extrinsic as Lorraine’s emotions are, George remains at a distance, preferring to climb up a tree across from her second-floor bedroom and watch her getting dressed (he isn’t the first kid to fall onto the road either, according to Mr. Baines). This time, Marty gets in the path of the car, not George, and so he becomes her crush. Later that evening, Lorraine sneaks into her bedroom where Marty is sleeping and puts the first of several moves on the young man her dad hit. She also dares to ask her parents, her large eyes glowing, if Marty can sleep in her room overnight and squeezes his thigh under the table, unnerving him right out of the house. Though Lorraine’s infatuation with Marty sustains through both Biff’s and George’s early advances, it is the ultimate romantic gesture that wins her over, as George defends her honor. History is changed as George takes control of his life and becomes a man, instead of being the “little lost puppy” that Lorraine felt sorry for and doted on. 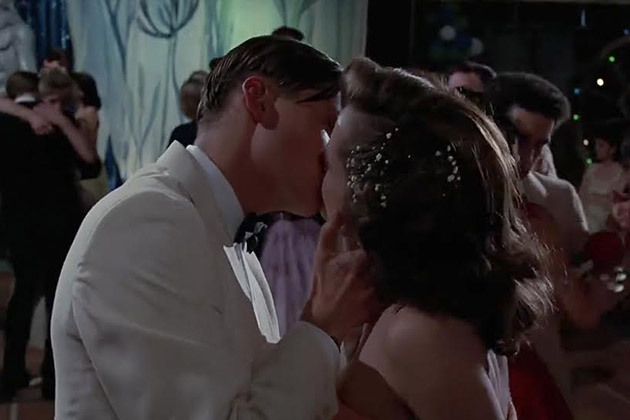 Lorraine still assumes the forward role, asking George to kiss her at the dance and demanding his rescue when another man cuts in on the couple. When George comes back to her, the couple kiss and a new future is established. In the alternate 1985, George publishes his novel, A Match Made in Space, combining his passion for science fiction and his romantic nature, and he and Lorraine are still demonstrably in love after thirty years together. Plus, Marty can now live on with the awareness that his parents were and are probably into some serious kink.